On NBC! Epic Timelapse! Invitation To 2 Art Events! -I am thrilled to release the first component of my newest epic art project, #ElectricRainProject! -I’ll be painting on NBC News tomorrow morning! -Please Join me at the Mission Federal Artwalk and Adelman Fine Art’sgrand opening celebration! 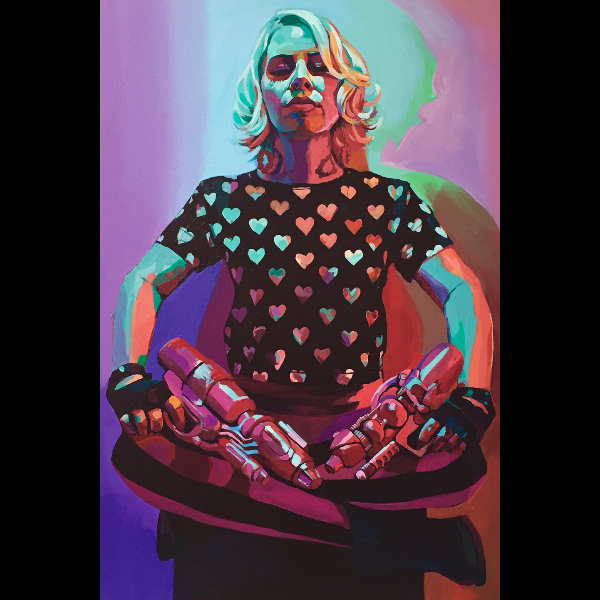 “Peaceful Warrior” will be available to the public for the first time at Little Italy’s Mission Federal Artwalk, April 25th and 26th from 11am – 6pm. Check out my paintings at Adelman Fine Art’s booth #727/729. 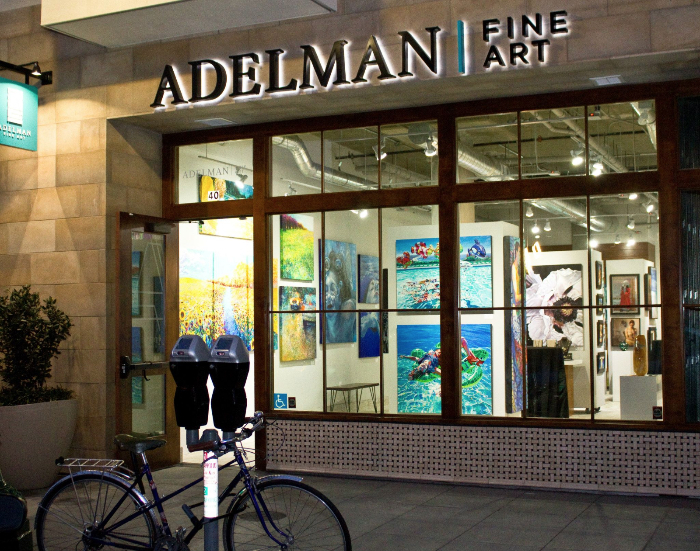 San Diego’s coolest new art gallery, Adelman Fine Art, is open for business! I’m thrilled to be working with these ladies, and I love seeing my work in their front window! Enjoy a live painting demonstration (by me! ), refreshments including bites from The Cheese Store and Cookbook Tavola Calda, and music.